CPL undertakes a wide range of prototype testing. The test unit may have been designed and manufactured in house, or supplied by the customer. Evaluation will be to an agreed specification, with documented results, to form part of the design record. Typically CPL will evaluate a mechanism using an interferometer, having a resolution of <100nm. This records the target's position at an appropriate sample rate, and provides data which can be analysed for positioning accuracy, repeatability, speed of response etc. Further manipulation can give a measure of quality of motion according to some given specification. Dynamic features such as frequency response and resonant behaviour can also be evaluated. By applying an FFT to the data, periodic terms in the response can be identified. These give important information about the possible source of interfering disturbances in the target motion. 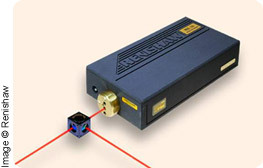 The scanning carriage and lens positioning system developed for customers were both validated using these techniques. CPL's interferometer measurements are currently limited to a frequency of around 2kHz, (although higher sample rates are now available). For higher frequency dynamic measurements, CPL can determine the response using accelerometers. Together with standard oscilloscope and temperature measurements, CPL can make closed loop tests on control systems, using a dynamic signal analyser. 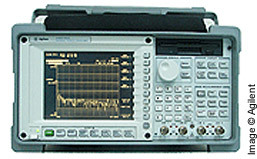 This sweeps a stimulus signal over a range of frequencies, and compares it with the mechanism’s response. A simple transform calculates the closed to open loop response, from which the loop dynamics can be established. This reveals undesirable behaviour in the mechanism and allows the controller design to be optimised for robustness. The same process can be applied to low frequency operation of wholly electrical closed loop systems, e.g. a current controller for an led illumination source. The controllers for all of the cited examples were proven using this method.